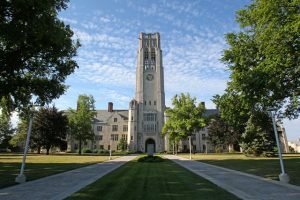 Founded in 1872, the University of Toledo offers a beautiful, historic campus that feels like a small college. Many of the buildings have a “Harry Potter” look to them, but facilities are state-of-the-art. With a total of 16,000 undergraduate students hailing from 49 states and 131 countries, the student population is diverse. UT is known for its strong academic programs in Engineering, Business, Education, Art, Pharmacy, Medicine, and Health Sciences. Additionally, UT has a vibrant campus life, with nearly 300 student organizations. Its athletic teams, the Rockets, are members of the Mid-American Conference. The university also operates a 450-acre Health Science campus, which includes the University of Toledo Medical Center; the Center for the Visual Arts is located in downtown Toledo at the Toledo Museum of Art; and a research and education facility, known as the Lake Erie Center, is at the Maumee Bay State Park. If you haven’t visited the University of Toledo – check it out. You will be impressed. We were! The University of Akron is a public research university located on the edge of downtown Akron, Ohio. Known nationally for its world-class work in Polymer Engineering, UA offers an extensive menu of over 200 undergraduate majors to 20,000 undergraduate students. 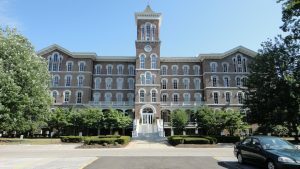 With a AACSB accredited Business School, wide set of STEM offerings including an excellent College of Engineering, not to mention the LeBron James Family Foundation College of Education and College of Health Professions, UA has a nearly unlimited set of excellent major offerings. Did we mention their excellent Art program? 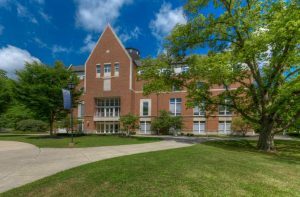 When we first visited campus, we were surprised to see so many new and beautiful buildings and experience the feel of an academic enclave belying its urban location. Campus design and street configuration creates the sense of a rural campus. UA’s nationally rated Student Recreation and Wellness Center offers gym space, pool, workout space, weights, rock climbing, and even a lazy river. The new student center offers a variety of food options including Panda Express, Qdoba, Chik-Fil-A, Einstein Bagels, as well as the traditional cafeteria style options. UA’s NCAA Division I varsity teams are know as the “Zips” (it’s a long story) and Zippy the Kangaroo is the mascot. The 2000 student strong “AK Rowdies” paint-up and enjoy special seating at all athletic events as they raise the roof! We loved UA! There’s a good chance you will too! 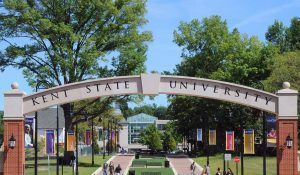 Each year Bowling Green State University enrolls over 14,000 undergraduate students on their main campus. With over 200 academic programs and 325 student organizations, there is a lot going on at BGSU. 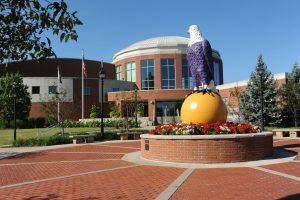 Established in 1910 as a teacher-training institution, BGSU still has one of the best education programs in the state – but that’s not all. Today, strong programs abound, including those in Music, Forensic Science, Accounting, Digital Arts, Apparel Merchandising & Product Development, Popular Culture, Sport Management, Aviation, Architecture, and others. 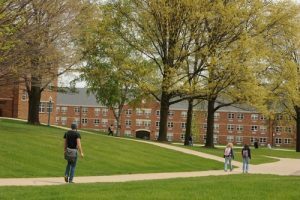 Additionally, BGSU is one of only a few institutions in Ohio (and the only public university) that offer an intensive, individualized academic support program for students with learning challenges including ADD and ADHD. Their new “FLY Program” (Falcon Learning Your Way) matches students to a full-time learning specialist, assigned tutor, and a writing consultant for each enrolled course. An Academic Coach is also assigned to help students improve time management skills and study strategies. The FLY Program is a specialized service offered for an additional charge. At BGSU, over 6,000 students live on campus in 14 residence halls and 19 learning and theme communities. In 2016 BGSU opened a new Greek Village complete with townhome-style residences in 10 buildings with individual units for 33 chapters. Dining facilities are first-rate, and options are plentiful. It’s clear that there is a lot to be proud of at BGSU! 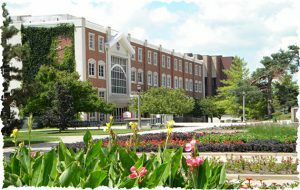 Ohio is blessed with an abundance of reasonably priced public universities. All-in-all there are 14 of them, not to mention another 24 branch/regional campuses, and 23 community and technical colleges. These institutions provide a wide variety of pathways for students to achieve their higher education goals. In recent years, Ohio has taken steps to simplify student transfer between public colleges. Academic calendars have been aligned. Additionally, articulation agreements and the “Ohio Transfer to Degree Guarantee” have made it easy for students to transfer credits from one public institution to another. Finally, many more students are earning college credits while still in high school through AP courses or College Credit Plus. These programs may significantly reduce the costs of college and time-to-degree for participating students. 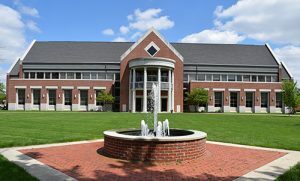 In comparison to most of their private college competitors, public universities offer more curricular and co-curricular options and a lower price as a tradeoff for the smaller classes, teaching-focused faculty, and the more intimate, developmental (versus competitive) educational experience offered on private college campuses. Different strokes for different folks! So far, we have focused on private colleges in Ohio. 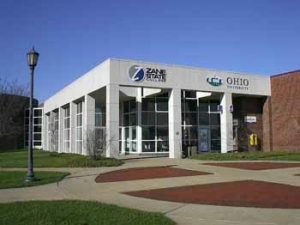 Let’s wander down the trail and take a look at a few of Ohio’s finest public institutions!